Number of Vacancies: will be intimated in due course. Educational Qualification: Full time B.E. 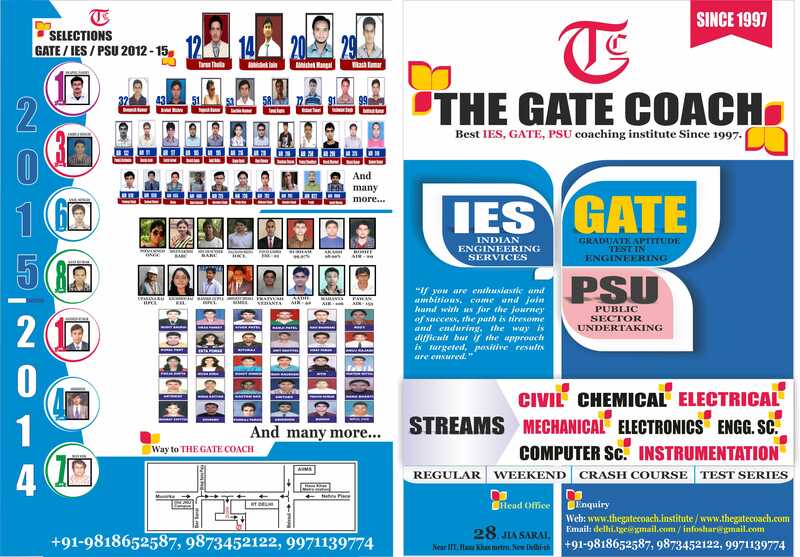 / B. Tech./ B. Sc. (Engg.) from recognized University / Institute in any of the following discipline — Electronics & Communication / Computer Science / Information Technology / Electrical / Electrical & Electronics. Final Year / Semester students of above who expect their results by 14.08.2015 are also eligible. 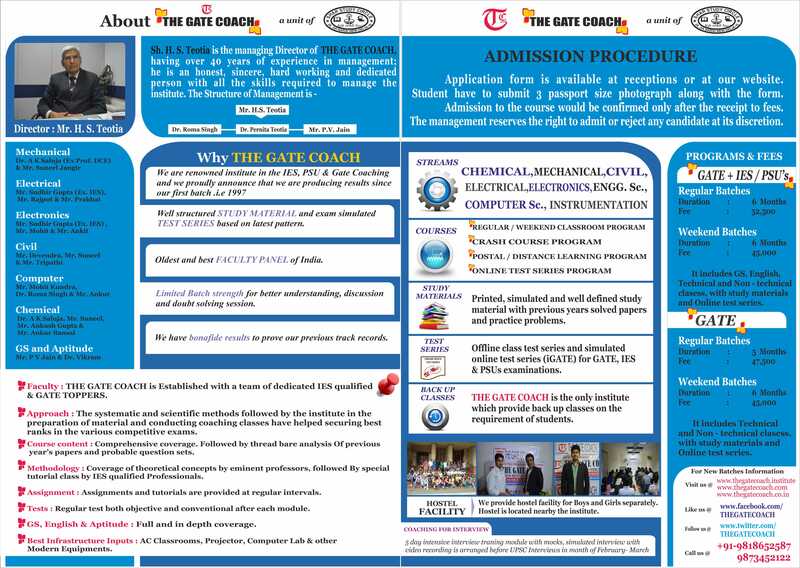 Essential Norms: Interested and eligible candidates will have to appear for the Electronics and Communication (EC), Computer Science and Information Technology (CS) and Electrical Engineering (EE) Paper of GATE 2015. See officially released advertisement for more details. Age Limit: Minimum 21yrs and maximum 27 yrs as on starting date of online application, i.e. 15.01.2015. Upper age relaxation for reserved categories is as per Govt. norms. Candidates’ Selection: The selection of the candidates will be through Personal Interview. 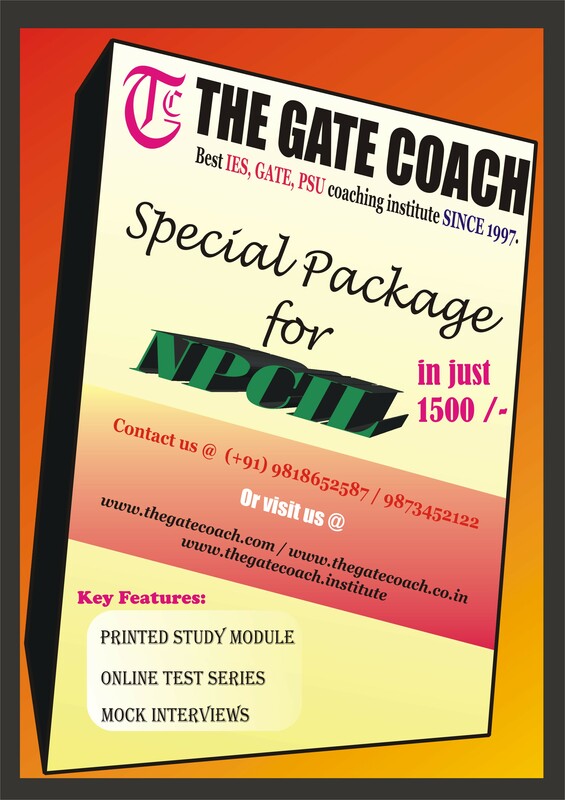 Candidates will be shortlisted for Personal Interview on basis of performance of the candidates in GATE 2015 paper. Personal Interview are likely to be conducted in the months of May – June 2015. 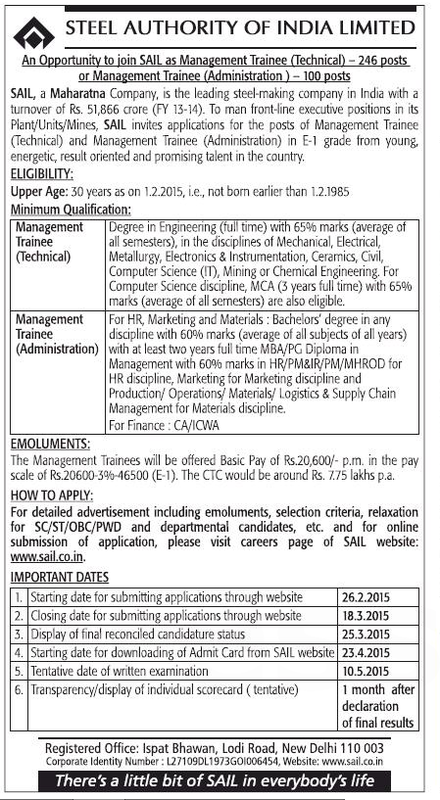 For more details regarding candidates’ selection norms and eligibility norms, go through the officially released advertisement. How to Apply: Interested and eligible candidates may submit their application for the post of Executive Trainee only through the official website of BBNL — www.bbnl.nic.in (See live URL to Application form below). Closing Date for submission of Online Application: 27/02/2015.